If you still haven’t signed-up for Swagbucks then I’d love to start you off with 5 Swagbucks in your new account. Don’t wait because this exclusive code for Freebies 4 Mom readers is valid today only (Monday, March 2). 4. Hurray! You’ve got 5 Swagbucks to get your new account kicked-off with. My favorite reward that you can purchase with your Swagbucks is the $5 Amazon.com gift certificate. You can buy one after earning 45 Swagbucks. It’s the best value I’ve found in the gift cards section of the Swagstore because it costs only 9 Swagbucks per dollar. The beauty of Amazon.com gift cards is that you can use several in one transaction, and if you take advantage of free shipping than you really can get something for free (or pretty darn close). * Rewarding: I earn Swagbucks often enough just by using it as my search engine that it feels rewarding. * Big Wins: I often win more than a single point, my biggest one-time win was 5 points – very rewarding. * $5 Amazon.com Gift Cards: It’s been easy for me to select and redeem my reward of choice when I have earned 45 points. You can redeem a maximum of two rewards per day. * Not Annoying: Some websites simply annoy me because of the way they are designed or the ads they display. Swagbucks is not an annoying site and it’s quite user-friendly. The biggest reason why I’m a fan of Swagbucks? I’m earning gift cards by doing something I’d normally do on the web – use a search engine. It doesn’t require any extra email. I’ve just bookmarked Swagbucks.com so that I can get there easily anytime I want to search for something. They also have toolbars that you can download so that it becomes part of your internet browser. I hope that it becomes a great resource for you to earn some gift cards just by searching the web! Are the amazon ecards stackable? man i’m not a mom but i love your site anyway haha!Keep up the great work!and Swagbucks is awesome! I joined not to long ago and i have 21 already :)but i’ve always been late on getting those codes.. grr.anyway nice site! I have an account, and it didn’t work for me either. Did the get the extra buck tonight though. Thanks, S Braun! I searched with that word and got 2 bucks too! there is a code for 1 swag buck for today… it is “mohawk” If you subscribe to blogs… try the swag bucks blogs for more free codes! I have an account as well. It didn’t work for me either. Bummer. I already have an account as well. The code didn’t work for me, but when I searched with swagbucks4mom I got 2 swagbucks! I’m not sure the reason, but I’ll take it. Hi Heather,Do you earn sawgbucks for every search, or just random ones? I did a search and got 2 for my 1st one. I have done about 5 other searches and haven’t earned anything.Thanks. I have an account already and it worked for me. Make sure there are no spaces before of after the code. Where can you put codes in? BooHoo!Don’t you just hate when a better deal comes along and you’ve already done it. I need some loyalty rewards for listening to someone last week and joining.Oh well…timing is everything. 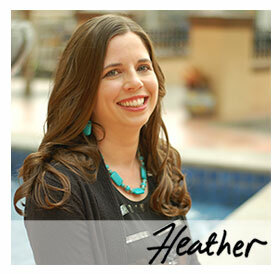 Heather,thank you so much for sharing swagbucks. It’s an awesome program. Previous post: *Expired* Sweeps 4 Mom: I have a $2500 Winner!! !